When we think about cleaning our teeth, we think about our dentist. When we think about straight teeth, we think about our orthodontist. 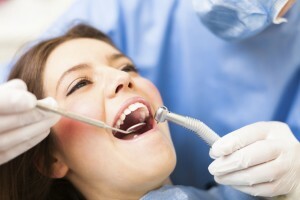 There are specialists for all facets of dental health, just like there are with other doctors. Have you ever heard of an endodontist? It’s like a dentist, but better. First thing’s first…what is endodontics anyway? Endodontics involves the tooth pulp, which in the center of the tooth made of living connective tissue and cells. Endodontists handle these oral pains through pulp therapy, root canal therapy, nonsurgical of root canal systems, surgical removal of tissues, and surgical removal of tooth structure. Variety of anesthesia options. Endodontists have access to far more anesthesia options. Root canal treatments are very painful and sometimes, the typical anesthesia isn’t enough. Endodontists are also much better trained in numbing up specific areas, such as those with severe infections. Comfort. Root canals can be very painful, but endodontists are better equipped to handle these procedures. They have access to better tools and have gone through specialized training to make sure that the process goes much more smoothly with less pain involved. Preservation of severely corrupted teeth. Because of their expertise and training, endodontists can save the most corrupted teeth, making your smile look natural. While extraction is almost always an option, an endodontist will do everything possible to make sure that the corrupted teeth are saved. Better emergency care. Not only do you get better quality care, but an endodontist can also take care of your emergency much faster. This means you’ll rarely have to book an appointment to far in advance to have your dental problem solved. These signals are serious indicators on infected pulps, which can only be treated by an endodontist. Refrain from ignoring these major signals of pulp infections and visit an endodontist. They can provide a myriad of treatment options that will save your teeth from further infection. Before any dental procedure can begin, an examination must be done by your dental professional. Back in the day, this involved an x-ray. The x-rays would let the dentist see what is going on with your mouth, more than by physical examination. They would tack them to the screen and you would both sit down and discuss any issues that may be happening and discuss a plan of attack. Today, only the most advanced and innovation technology is used by the professionals of Tyngsboro Cosmetic Dentistry. 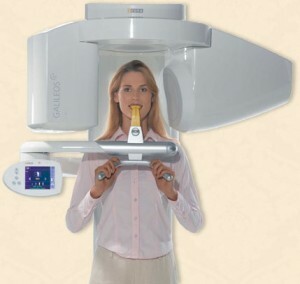 This technology includes the Galileos 3D CT Scan, which allows for an in-depth view of your mouth, teeth, jawbone, and jaw points. 3D scans, in a way, provide a live feed of a patient’s dental anatomy from various angles. The various perspectives allow for a better view of the structure of the bones, making it easier to locate root fractures and canals. Even more importantly, 3D scans provide dentists the ability to gain more accurate measurement of their patient’s dental structure. They can also be used in conjunction with an already existing treatment plan to increase its possibility of success and allowing dental practitioners to be more confident in preparing for various dental procedures, such as extractions, root canals, implants and so on. The clearly laid out details allow dental practitioners to make better decisions, which in turn allows patients to have more confidence. The use of 3D dental scans also create a more engaging environment where dental practitioners and professionals can assess their patient’s dental health, while at the same time the patient can also ask questions about what they see on the screen. This allows for constant communication between patient and doctor, allowing for a more comfortable dental visit for the patient, which may help put them at ease, especially those who suffer from dental anxiety. Contact Dr. James Yankowskas in Tyngsboro, MA at 978-649-7773 to schedule a consultation today or visit www.tyngsborocosmeticdentist.com for additional information regarding periodontal. Dr. James Yankowskas proudly serves Tyngsboro, Lowell, Nashua, Dracut, Chelmsford, Dunstable and all surrounding areas.